Aww, snap! 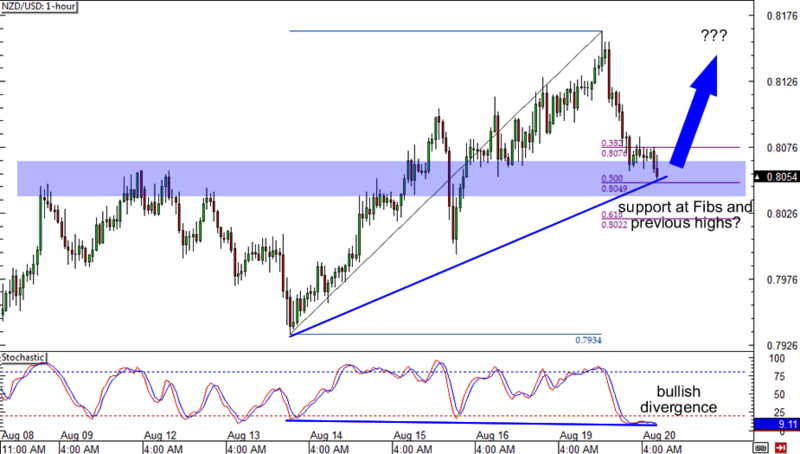 AUD/CAD is back up, testing the falling trend line on the 4-hour timeframe. In fact, a bearish candle just closed below it. This could be the perfect time for you to jump in on the downtrend! But don’t get carried though. Who knows, there may still be enough bulls in the market to push the pair above the trend line. If you’re a fan of Fibonacci retracement plays, this setup on NZD/USD may just tickle your fancy! On the hourly timeframe, we see that the pair has pared some of its gains and is now testing support at the 50% Fib level. Take note the area also served as a previous resistance. 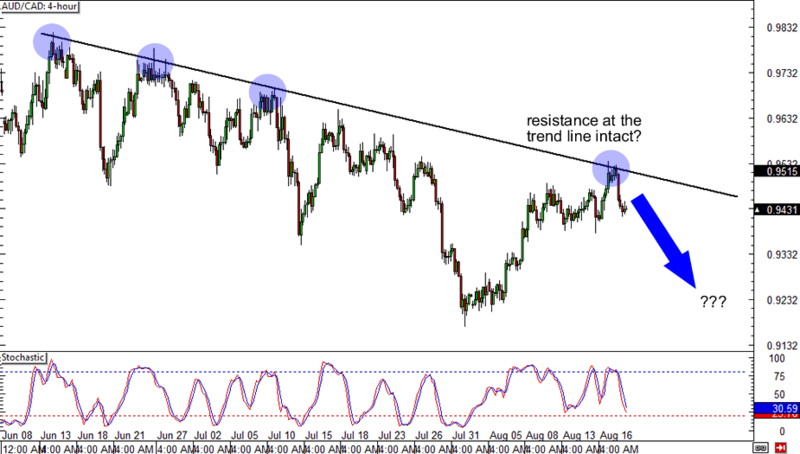 To top it off, Stochastic shows a bullish divergence! Just be careful not to go loco in buying the pair, ayt? There may still be enough demand for the dollar to push the pair lower. 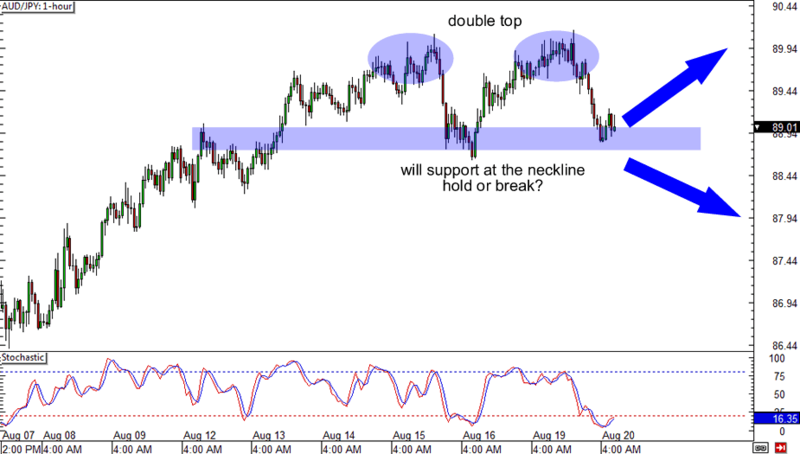 Could that be a double top just below 90.00 on AUD/JPY? If you think it is, you should be on your toes for a break below the neckline support at around 89.00. A strong close below the level could hint at a downward rally all the way down to 86.50. But if support holds, we could see the pair rally back up above 90.00!